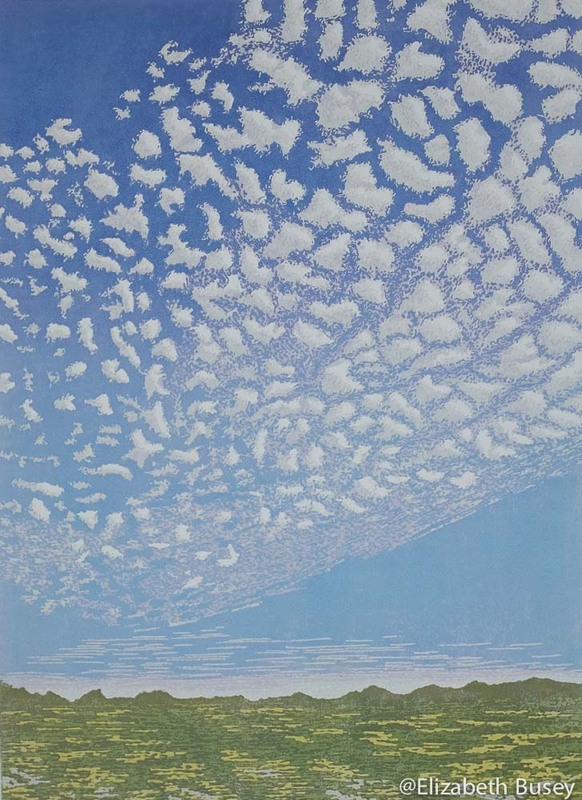 A spirited sweep of Altocumulus clouds punctuates a bright midday pastoral scene. The canopy of cotton balls leads the eye to the distance, and perhaps a change in direction. The clouds were made up of numerous transparent layers — all held together thanks to the flax plant. Read this post to find out more.